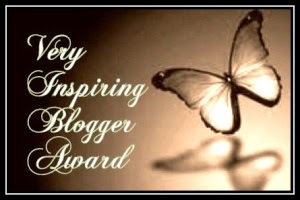 I got nominated for Very Inspiring Blogger Award …..yyyooooohhhhhooooooo !!!! My lovely, ravishing friend Keisha from chrysalisgals nominated me for this lovely award for ‘Very Inspiring Blogger Award’. Thank you so so so much Keisha darling. It means a lot really. I never thought I would be nominated for this. But, as usual, I am late in doing this post ;). Your ‘Face Five Challenge’ is still pending darling, but will be done within a week J. Friends, Keisha is a beautiful girl, a makeup artist and owns a cosmetic store – Chrysalisbda and a fabulous make and beauty blog. I am sure you will love her and her blog too :). 7. Proudly display the award logo (or buttons) on your blog, whether on your side bar, ABOUT page, or a special page for awards. Now let’s come to those 7 points about me that you may not know!! So tough to decide what to tell and what not ;)….hehehe. Ok, let me get started. I am afraid of cockroaches as hell. They can kill me. I am shuddering even while writing this line and imagining. I love cats as pets ;). I don’t keep one as then either I would have to carry her everywhere or I would not be able to travel as much as I like J.
I love my curly hair but find them very difficult to maintain. So, mostly resort to straightening irons. I am crazy about contouring n highlighting ;). I love reading Mills and Boon ;). So, dearies, I hope you liked reading my little secrets!! So gals, do tag me when you do the post. I would be waiting to read your little secrets and would love to know more about you J. And, once again, great thanks to Keisha for choosing and nominating me for this award :). OMG! You know what Charu, at first when I read the post name in my Google notifications, I thought yes she def deserves it, she is so helpful and she actually inspires many people. And then I clicked on the post to open it up and then!!!! I SAW MY NAME!!!!! And I am scared of cockroaches too, but lizards!!! Yikkkesss!!!!!! And I liked the secret when you tried to scare your husband and he scared you back. That was fun to read 🙂 ehehehe. congrats for the award! i agree that cockroaches is not good for our life, hehe.. it's just too disgusting and I hate them.. I enjoyed finding out a little more about you Charu! I am also terrified of cockroaches…they are sooo yucky! Congratulation doll so well deserve you are to funny and have an awesome personality. I also do not like Cockroaches I act like the world is ending when I see one lol. Thank you for the nomination I was awarded but I will give you recognition on my Monday post showing my appreciation under Special note thanks again sweetie. Congrats!! Fun to learn a little bit about you! I hate cockroaches too!!! Congrats!!! I have a hard time keeping my hair curly too so I usually straighten it. It gets so frustrating sometimes. I need to try conturing and highlighting sometime! You totally deserve this award hun. A big congrats to you. Thank you so much for nominating me I truly appreciate it. Thank you for supporting me as well. I'm so happy for you. Congrats and there will surely be more coming your way. And please click on the links of it…it would really mean a lot. Thank you for the comment on my blog, it's ok for me to follow each other(i'm already following you on gfc, bloglovin and g+). oh dear! congratulations! i`m so happy for you. Your blog is really inpirating! Really cool outfit! I really like your blog! Haha those facts are so amusing to learn. My favorite is the scary witch and your husband's reaction. Big laugh from that. I would do the same 🙂 Great post dear! congrats girl! we follow you via bloglovin, twitter and facebook! My dear Charu, it's a great honor that you chose me <3 Thank you so much, I am really very happy about that..means a lot to me! Love your secret about scaring your mom and sister! Think that your curly hair looks perfect ;)) I like the way it is, looks great on you! congrats charu 🙂 me too afraid of cockroaches n lizards! I was just browsing by and came upon your gorgeous blog – it is so amazing with interesting posts! I had to follow through GFC 🙂 x keep in touch ! Congrats Charu! Thanks for the nomination!